Last Tuesday, Boulder’s City Council unanimously passed ordinance 8245, which banned “assault rifles,” high capacity magazines, and bump stocks within city limits. Boulder is the second city this year to pass such a law, since last month the Chicago suburb of Deerfield, IL also banned “assault rifles” within its limits. While no major anti-gun legislation is coming from the federal and state levels, cities are now enacting their own brand of gun control. A magazine capable of holding more than 10 round of ammunition. Any feature such as a protruding grip that can be held by the non-trigger hand. A folding, telescoping, or thumbhole stock. Basically with the passage of the ordinance it is now illegal for citizens in Boulder to possess a rifle like the AR-15 within city limits. Gun owners possessing a bump stock or “high capacity” magazine have until July 15th to sell or dispose of the accessories. After that date, anyone caught with those items can face a $1,000 fine and up to 90 days in jail. 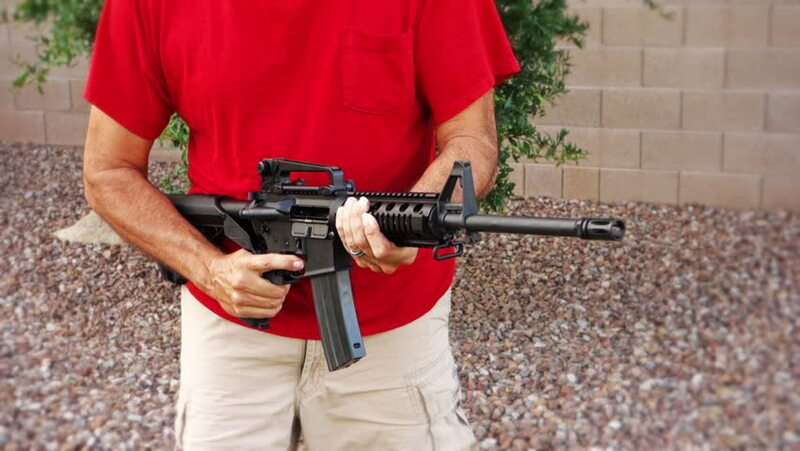 As a compromise, the ordinance allows citizens who purchased an “assault rifle” before the ban to retain their firearm. A grandfather clause requires gun owners to obtain a certificate from the Boulder police department proving they possessed the weapon before ordinance’s passage. This is more lenient than Deerfield’s ban, which has no grandfather clause. “My hope is that we will see more bans like this at the state level and one day at the federal level” said Boulder councilman Aron Brockett at the vote. With anti-gun rhetoric becoming more aggressive, it’s very likely that more cities and states may adopt such measures as a way to “curb gun violence.” Yet even among Boulder’s city council, which passed the measure unanimously, there are doubts about the effectiveness of such legislation. “I don’t agree with this ordinance in many ways,” said councilmember Mirabai Nagle. “I think we’re going to be spending a lot of time and money.” Other city and police officials expressed concerns about how enforceable the ban really is. Immediately after the council’s vote the Mountain States Legal Foundation filed a lawsuit against Boulder, claiming the ordinance violates the Second Amendment. A lawsuit has also been filed against the village of Deerfield for its ban. With the recent tragedy in Santa Fe, Texas still fresh in the public’s mind, and the March for Our Lives movement gaining traction, more cities may take anti-gun action into their own hands. Could this movement soon evolve into state and federal legislation? Time will tell. However, with these new city ordinances and the flurry of lawsuits from gun-rights activists, the fight for our Second Amendment rights is about to get even hotter. Editor's Note: Also, while on the surface the “grandfather clause” seems like it's a good thing, I'd like to point out that this is just another form of gun registration. If you think about it, they're giving the Boulder residents permission to own an older AR-15, and will likely keep a record of who owns them. Bryan Mcintyre, thanks so much for the post.Really thank you! Keep writing. What is the real timeline of all these bans. When do we lose everything? As soon as the Democrats and their RINO allies pass ‘amnesty’ for illegals. The will start ‘voting’ immediately and it’s then ‘game over’….see ya!